Dipanjali Deka | OK Listen! Dipanjali Deka is a singer, record producer from Guwahati , Assam and is presently pursuing ‘Arts and Aesthetics’ from Jawaharlal Nehru University (JNU), Delhi .Having spent most of her childhood in Assam , she was introduced to music early in life in her native place .Later, she moved on to various other places for vocational interests where she continued her musical journey. 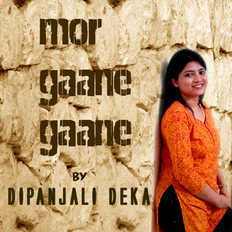 In January 2014, Dipanjali launched her maiden Assamese album “Mor Gaane Gaane” which was composed by three different music directors. The album is rich with the flavors of both Assamese and other Indian musical styles. Dipanjali’s singing has been highly appreciated by one and all as ‘soothing and pleasant to the ears’.